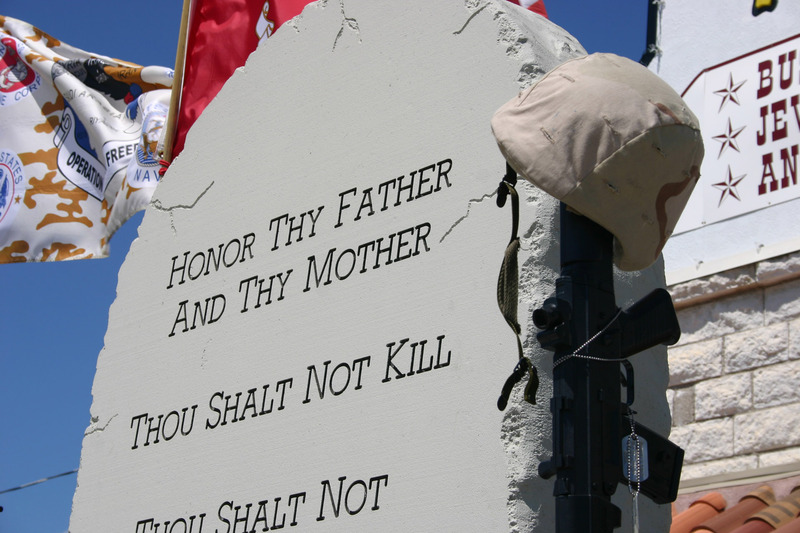 Contradictions don’t bother the Christian Right, they know the truth, it’s right there in the Ten Commandments, displayed ceremoniously out in front of the Yellow Rose store in Crawford, Texas, where we recently conducted our latest Situational Tour. When you mix it all up – religion, war, and politics – you can shape the truth in any fashion you like… you can take any action you like. Just ask evangelist Pat Robertson who announced yesterday the US should assassinate Venezuelan President Hugo Chavez. This is the Christian Way?